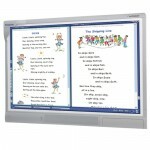 The Panaboard is a truly revolutionary tool that redefines many conventional ideas about meetings and presentations. It eliminates the need for participants to busily jot down notes on information written onto ordinary whiteboards or chalkboards. 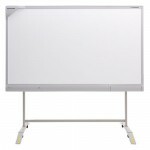 Interactive Electronic Whiteboard with USB interface; 1716 Square inch copy area, 2 non-glare projector panels, 2 electronic pens, 4 electronic pen markers, 1 electronic eraser, and other accessories. 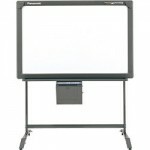 Panasonic offers a several additional models of whiteboards. You can view the other models at the Panasonic website. Additional Whiteboards Panasonic offers a several additional models of whiteboards. You can view the other models at the Panasonic website.